By buying this product you can collect up to 8 loyalty points. Your cart will total 8 loyalty points that can be converted into a voucher of $3.20. 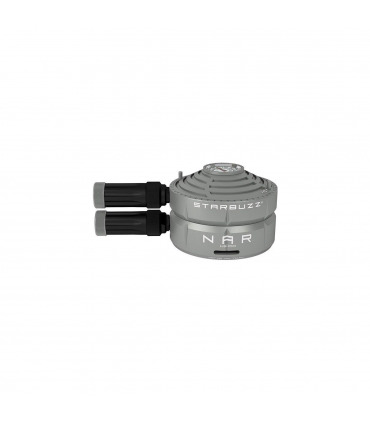 Introduction the NAR by Starbuzz®! This is a heavy duty piece that weighs in at a staggering 350g, and it's crafted from one solid piece of metal that can withstand extreme temperatures. It includes a built in thermometer so you know how well your charcoal is doing and the incoming heat for your session. This Starbuzz design prevents any charcoal ash from ever entering your bowl because of the intelligent air channel placements. If your smoke session starts to get hot, you can easily turn the blades at the top which will allow heat to escape and cool down your session. A quicker method is to remove the top completely, and apply the top later with the vents open.